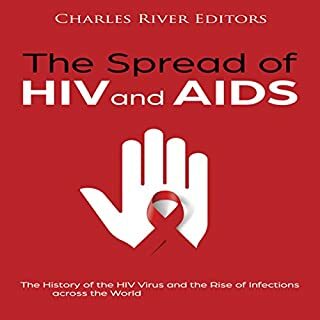 The Spread of HIV and AIDS: The History of the HIV Virus and the Rise of Infections across the World examines how the notorious killer became one of the most feared diagnoses in the world. You will learn about the spread of HIV and AIDS like never before. This book trashes the American medical system's bigoted treatment of African-Americans. Don't expect an historical treatment of HIV/AIDS as I was looking for. This booklet is informative about the subject it addresses but it is not about the title and is limited in its world wide treatment. It addresses present issues and doesn't address the science. A must for everyone, especially if you have teens. Exceptionally well written, easily understood. 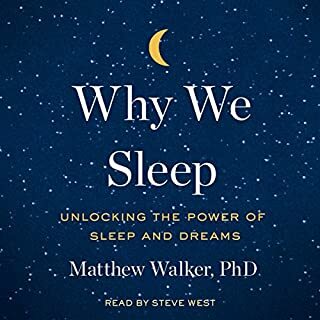 I'm changing my sleep habits immediately. 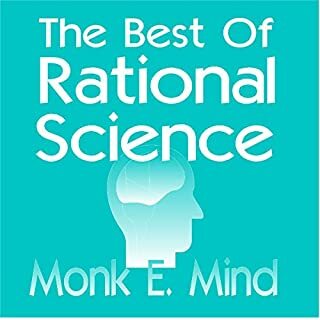 A collection of chapters from the previous five volumes in the Rational Science series. We discuss the difference between objects and concepts, hypothesis and theory, and science and technology. We learn about light, time, and mass, the Big Bang Theory, black holes, and Mach’s principle. We find out about dinosaurs and why they were so big. We look at a couple hypotheses on planetary and solar system formation. From atom to sun, we learn to think about reality in new ways. I didn't get past the 1st chapter. Dry, monotonous reading and overly ornate wordiness. If your don't have any scientific background this book will only confuse you. If you have scientific background it's very basic and a waste of your time. If I could return this book I would. The story was good but it was just read instead of performed. Because of that there were sections of the book that were less engaging than they should have been and it was noticeable making it much less enjoyable. I wasn't left wanting more. These episodes didn't seem as humorous as the first and the recording wasn't nearly as clean. There was indistinct background talking (a ball game?) throughout many of the recordings and changes in volume and clarity that sounded like the speaker had turned his/her head away from the mike. These were not present in book 1, but I still enjoyed it. I'm willing to suspend my disbelief and make allowances to further the plot but there is no way ANY police officer, let alone the FBI, would let a paranoid, distraught old man run free among innocent civilians with a loaded gun in plain view even if it's on his own property. Then not to pull their weapons in response to his threats with the gun and shoot him after he shoots an innocent teenager. Then to allow the man to take that injured teen hostage and allow another teen to offer herself as another hostage. Then for the lead agent to barely argue and return to his hotel room that same night to conduct the other side of the investigation. He should have remained at the house near the hostages and called in HRT, SWAT, an ambulance, backup and begun negotiations. Only an idiot would have allowed the situation to get so out of hand. Then there is the boy's mother standing quietly by after she sees her son shot and knowing he is going to be taken hostage with no medical care. What kind of mother would not be screaming bloody murder and needing to be physically restrained to keep her from her son. Then she mutely allows the girl to be taken as well when she is also responsible for her. No one insists on medical treatment or even offers to take medical supplies to the house for the boy. When he goes down in front of her she does nothing. Except for his fellow hostage no one seems to be particularly worried about his medical condition throughout the remainder of the story. When the lead FBI agent tells his mother the plan to rescue the hostages if the old man's demands aren't met isn't any of her business she meekly accepts that mentally acknowledging it isn't any of her concern??!! The hostages are her gunshot son and his friend whom she is responsible for. It is totally her concern. She stated at least twice in the book that she isn't intimidated by aggressive men then several times she turns around and acts in total opposition to her claims of being tough and independent. 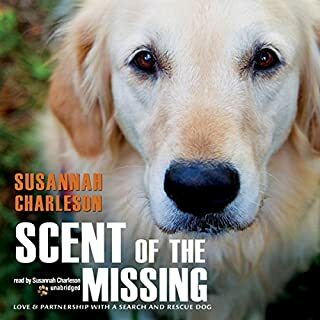 She's supposed to be an excellent dog trainer and tracker yet she repeatedly dismisses the alerts of her dogs and several times the alerts of all the rescue dogs in the vicinity. Her character is too inconsistent to be believable. The seemingly somewhat involved father tells her he won't come unless he's needed? His son has been shot and taken hostage and that's not being needed?! Then to top it all we're supposed to accept that mother and son can see and communicate with the dead and those around them who know just blithely accept it without question or any skepticism or suggestion that they go see a psychiatrist. Mother and son are more bothered about it than everyone else is. 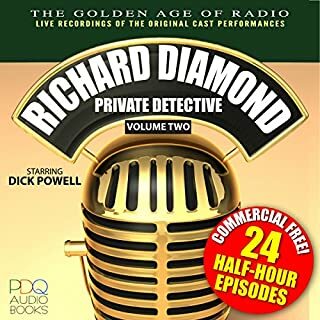 I finished listening despite the above and more as I wanted to know how it ended and it was well written and remained interesting but I will not be listening to the rest of the series. I've enjoyed this series and as a result have tolerated the poor performance of the woman who reads for Faye but this reading was especially poor. It's as if she hadn't prepared and was reading the story for the first time and had no opportunity for redos. She paused in the middle of sentences frequently and there was little if any emotion in her voice. Since a large part of this story is related by Faye it made it especially noticeable. Where is the editor/director in this? The poor performance was way too distracting and I won't be listening to any more of this series if she is one of of the readers. The story was much too unbelievable. I couldn't suspend my disbelief. There were too many situations that were obviously explained away with poor excuses just to further the plot, they weren't realistic enough. This series is falling apart and I will be waiting for reviews when the next installment comes out before I buy it. I enjoyed the story but the reader nearly ruined it for me. No matter how low I turned the volume it sounded like he was shouting in my ears. In addition he didn't use any inflections or voice changes to distinguish the characters, which was fine, except he ran the sentences together and it was often difficult to tell who was speaking. He also didn't pause between abrupt scene changes making it momentarily confusing and distracting. Sierra, I'm dog crazy and I love to learn about working dogs. As above as well as sounding like he was reading to very young children. This book seems aimed at teens and above yet I was insulted with the attitude that came across. I love children's stories and have listened to many over the years and have never experienced this feeling of being talked down to before. If the story hadn't held my interest I wouldn't have finished it. 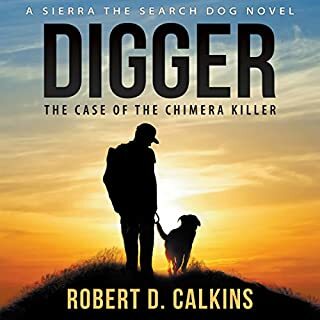 Do you think Digger needs a follow-up book? Why or why not? 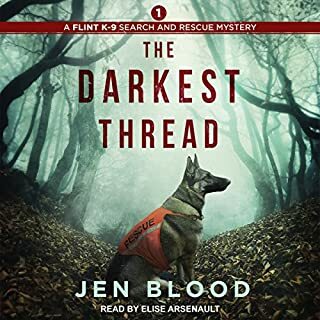 The author indicated it was a series and I look forward to further adventures in dog rescue and crime solving but if it's the same reader I'll be downloading them to my e-reader not listening. "I'm Lexi Carmichael, geek extraordinaire. I spend my days stopping computer hackers at the National Security Agency. My nights? Those I spend avoiding my mother and eating cereal for dinner. Even though I work for a top-secret agency, I've never been in an exciting car chase, sipped a stirred (not shaken) martini, or shot a poison dart from an umbrella. Until today, that is, when two gun-toting thugs popped up in my life and my best friend disappeared." Would you try another book from Julie Moffett and/or Kristin Watson Heintz? The writing is not bad but the story requires too much suspension of disbelief. No one working for the NSA would be stupid enough to fail to report she had been held at gunpoint twice in the same day especially when she has a cop for a brother. Using such a ploy as a springboard for a story is all too common and it ruins any sympathy I might have had for the character. She tells her friends but doesn't tell her superiors in one of the most powerful agencies in the world? !The story is full of unbelievable contradictions that soon had me picking it apart and becoming disgusted wondering if it had ever been read by an editor and that's not something I've done very often. Kristin Heintz did a good job and I would listen to her again. 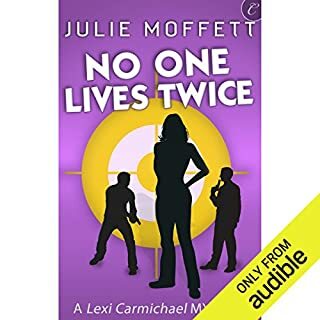 Would you ever listen to anything by Julie Moffett again? 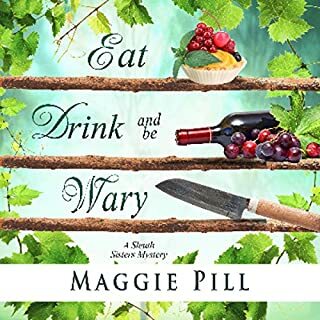 As I said, the writing wasn't bad and I think the author has potential so, yes, I would consider giving her another go but probably not with this series. There is too much to list. This book should have been gone over by an editor who knew what he/she was doing. Would you listen to The Unknown Universe again? Why? Yes, I already plan to. I was so enthralled that I raced through it and want to go back and see what I missed. I will probably listen to it several times. 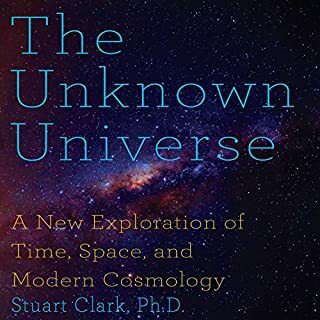 What was one of the most memorable moments of The Unknown Universe? This was a very well presented synopsis of astronomy's forefront theories written in a way laymen can easily understand. Dr Clark explained several theories that I had been having trouble with and previoulsy hadn't found better sources of explanation, now I understand and they make much more sense to me. I was particularly delighted to see that there is at least one leading edge scientist who questions the validity of "dark matter" and "dark energy". I have always balked over accepting these. We might as well go back to believing in the "ether". I hope others on the forefront are listening to what he has to say and acting on it. Have you listened to any of Stephen Hoye’s other performances before? How does this one compare? No I haven't as far as I know. but I think he did an excellent job, the only reason I didn't give him 5 stars was his mispronunciation of a few words. I particularly remember "Magellanic" considering the source word he should have gotten that one right. Absolutely! I wish there were many more just like it. I love listening to books in all areas of science. I have tried to keep up with the current discoveries so I wasn't sure if there would be any new info or if it would just be presented from Dr Clark's POV. I was pleasantly surprised by the unexpected additional info he presented.